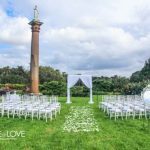 For a ceremony nestled amongst beautiful trees, or set against a gorgeous lake, you can’t go past the Centennial Parklands as an example of true serenity in the middle of busy Sydney. An iconic Centennial Park location, Paperbark Grove is a spectacular avenue of 250 grand paperbark trees that were planted in c1900. The wedding ceremony site is at the northern end of the grove which offers level ground and plenty of shade. 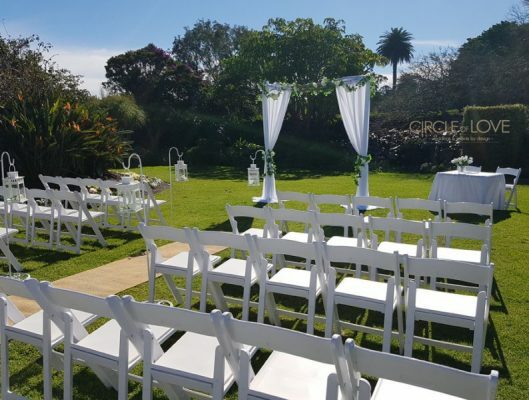 Rose Garden is the ideal location for an intimate outdoor wedding surrounded by flower beds and towering palm trees.This area was first planted in 1909 and has been a favoured location for floral exhibitions over the years. Rose Garden’s floral displays are subject to seasonal variation. Please note that the maximum number of guests permitted at Rose Garden is 50. This attractive pond is fringed with willow trees and gets its name from a former Park statue – a larger than life hunter with a dog at his heels. The area provides grassy banks and a lovely mix of young and mature trees. In the heart of the Park, this area lies on the banks of Busbys Pond. It features soaring palm trees, lawns, beautiful garden beds and a grand column. Rows of trees on either side of the promontory offer privacy. The promontory is easily accessed from Dickens Drive. 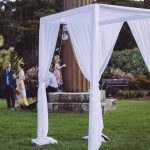 It is a short walk to Centennial Parklands Dining and close to some of our most popular wedding photography spots. In the heart of Centennial Park this iconic location offers grandeur and a beautiful backdrop. This popular garden area features flower beds, lawns and hedges and a magnificent sandstone column dating back to 1890. Column Garden’s floral displays are subject to seasonal variation. This wild and natural landscape feels fairytale-like with a dense cluster of pine trees that force sunlight to dance gracefully on the forest floor. 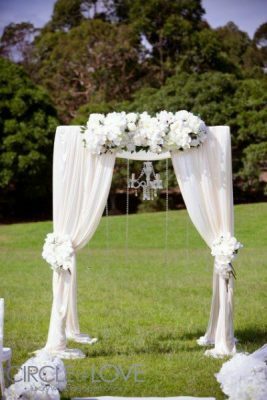 The ceremony site is at the eastern end of the grove and provides a shaded private setting adjacent to Loch Avenue. 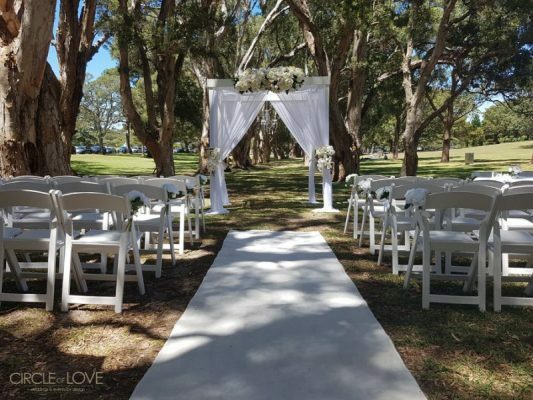 Church Grounds is perfect for a large ceremony, with level lawns, elegant fig and paperbark trees, ponds in the foreground and a city skyline backdrop. The area is easily accessed from Parkes Drive and is walking distance to Centennial Parklands Dining. 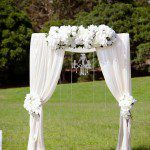 From Grand Drive, you and your guests will enter through two impressive palm trees and down a natural aisle between Willow Pond and Duck Pond. This location is a secluded grassy area that features a huge fig tree and beautiful =views across the ponds. This peaceful spot offers ample shade and is accessed from Grand Drive. Lily Pond is a picture-perfect setting with an ornate white footbridge and a towering canopy of paperbark trees. 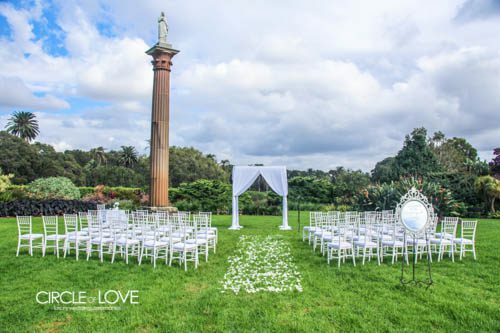 To view Centennial Parklands Wedding Brochure & find out more information click here. To see photographs and descriptions of the Parkland’s many amazing locations, have a browse of the Parkland’s wedding brochure here. 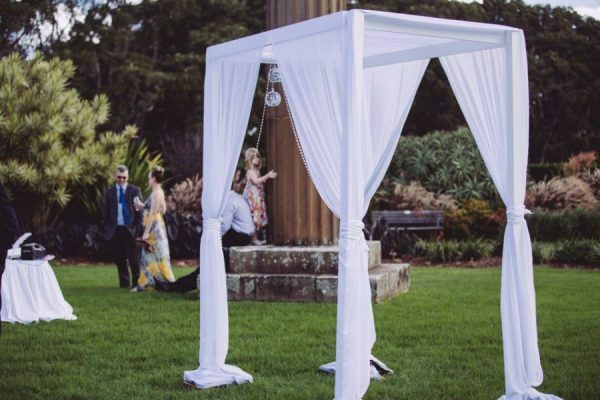 We love styling Sydney garden weddings & love to be a part of your special day.